We're sorry, but the promotion you are looking for has now ended. However, keep in mind that you can request a sample any time by browsing PearsonSchool.com and clicking "request more information" for your program of interest. Tell us you'd like a sample, and we'll be happy to process that order for free. 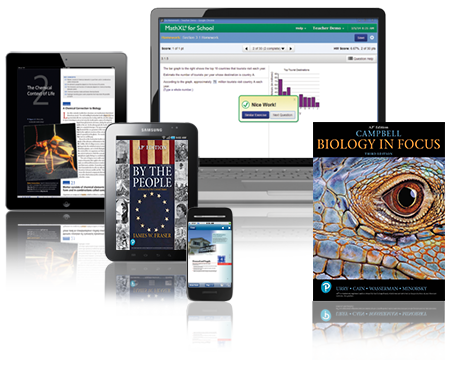 †Pearson eText for the Apple® iPad® is available for select titles and requires iPad iOS4.2 and a valid MyLab and Mastering from Pearson username and password. See individual products for more information. Apple and iPad are trademarks of Apple Inc., registered in the U.S. and other countries.